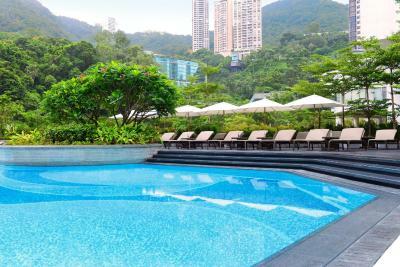 Lock in a great price for JW Marriott Hotel Hong Kong – rated 8.9 by recent guests! Location was really convenient, and the concierge staff were really helpful. the location is perfect for us with walking distance to most of the paces we go. We love the Pacific Place Mall underneath and we end our visits having dinner upstairs at GREYS CAFE, one of THE best restaurants in Hong Kong (we love everything Swire develops). 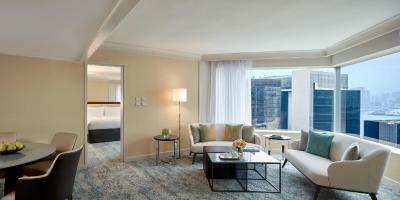 Marriott staff is truly helpfull in a very discrete way making the stay effortless and smooth. We will be back next year. A home away from home. Staff gives attention to every detail. 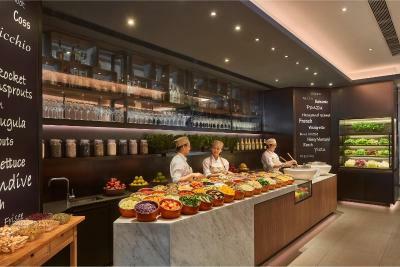 Breakfast buffet is the best in town. Accessible to everywhere we want to visit. 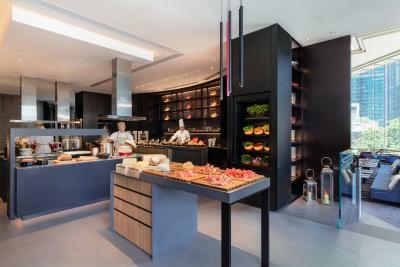 The breakfast buffet and the amenities were all great. The moment we arrived, we felt the warm welcome from hotel staff. Check-in was efficient. And the Starr tried to explain that the room rate varies from weekends to weekdays. (I do not mind if the total is the same price booked in Booking.com). Room temperature is comfortably cool and the air conditioner is very quiet. Cleanliness is spotless. Toilet amenities are generous. Good size of free mineral water bottles and tea an coffee making facilities (Nespresso machine and very clean electric kettle). 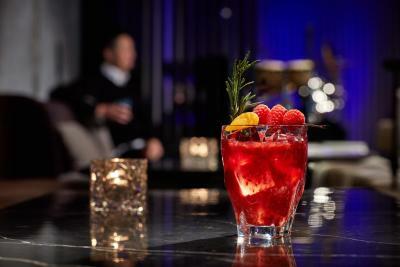 Fruit basket is refreshed every day. Tv is huge and offer a wide variety of programme including HBO and a number of movie channels. There is a clock and Bluetooth speaker on bedside table. Very comfortable bed and buck wheat pillows give me good sleep. 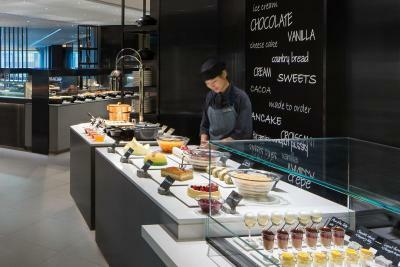 Breakfast is generous and offer great varieties with high quality ingredients . Location is convenient, with a shopping mall underneath. Apart from the size if the room, everything was excellent. One of the best kind of breakfast. My son was pampered with many types of goodies.... It was a great experience. Easy access to MTR station made it all the more comfortable. I can’t describe how amazing this hotel is. I took my fiancée here for one night after having proposed on a beach in HK. The staff had less than 24 hours notice (for which I apologise!) and organised not only a complementary upgrade to a harbour facing room on the 23rd floor, but took the time to bring us tea, fruit and sweets with a little note congratulating us on our recent engagement. The entire workforce of staff eagerly want to help you with any problems and do their very best to ensure the stay is more than comfortable. 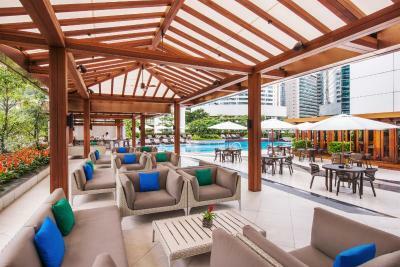 This is the perfect hotel to stay in around the area of Central and Admiralty, with easy tram and subway access only a few minutes away from the hotel. 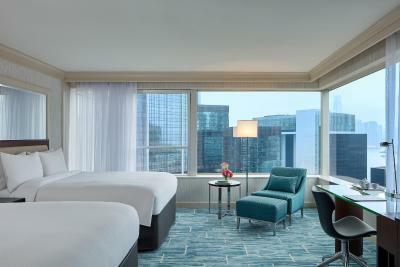 When we return to HK again, I will most definitely be staying in the Marriott. Thank you so much for a perfect end to the perfect day. 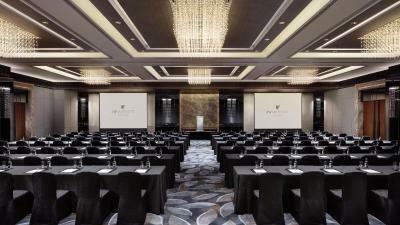 JW Marriott Hotel Hong Kong This rating is a reflection of how the property compares to the industry standard when it comes to price, facilities and services available. It's based on a self-evaluation by the property. Use this rating to help choose your stay! 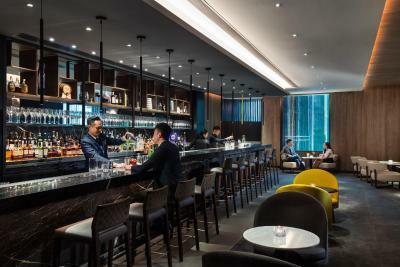 Sitting atop the prestigious Pacific Place Complex, the JW Marriott Hotel Hong Kong has direct access to the Admiralty MTR Subway Station and Pacific Place Shopping Mall. 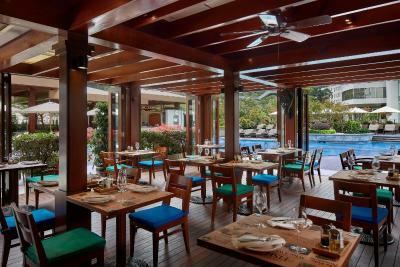 In addition to an outdoor pool, it offers free wired and wireless internet in rooms and free Wi-Fi in the lobby. 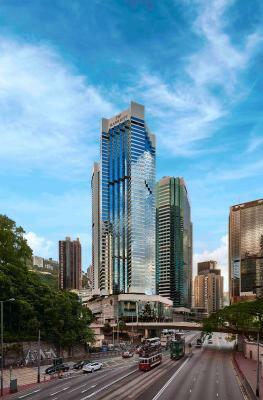 The JW Marriott Hong Kong is just one metro stop from Ocean Park Station, which takes only 4 minutes' metro ride. 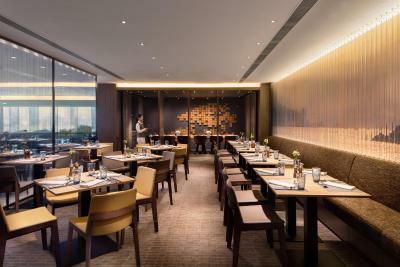 It is within 0.6 mi of Hong Kong Convention and Exhibition Center. Hong Kong International Airport is located a 35-minute drive away. 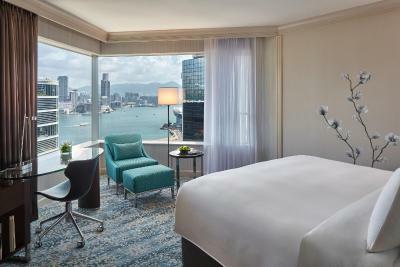 The rooms have large windows, presenting beautiful views of Hong Kong City, Victoria Harbor or the nearby mountains. 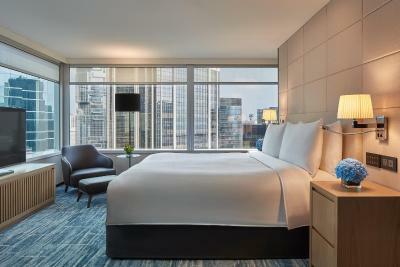 All rooms are equipped with exclusively designed 7-layer mattresses for a perfect night sleep, pillow at guests' choice, quality coffee machine with complimentary capsules, and tech-savvy entertainment system. 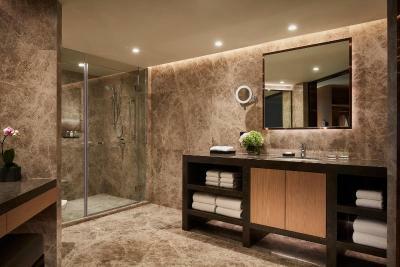 The elegant marble bathroom has a bathtub and separate shower stall, complemented by bathrobes and toiletries. Guests can relax at the outdoor swimming pool, heated in winter. 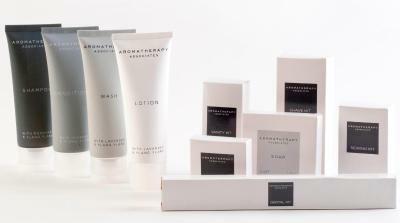 The well-equipped Health Club also features a sauna, a steam room and massage services. 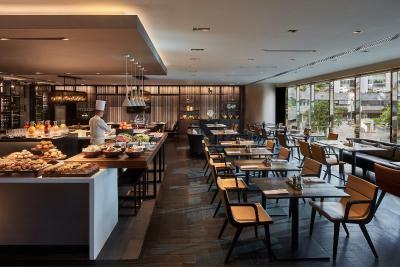 The award-winning Man Ho Restaurant serves authentic Cantonese cuisine while the Fish Bar offers fresh catch and seafood. 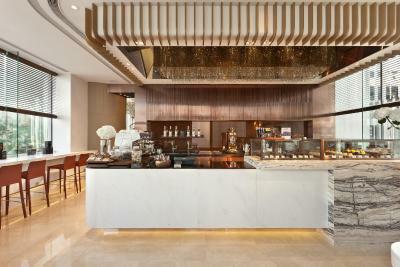 Other dining options include signature coffees at Dolce 88 and creative buffets at JW Cafe. 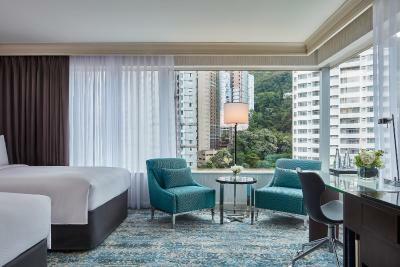 When would you like to stay at JW Marriott Hotel Hong Kong? 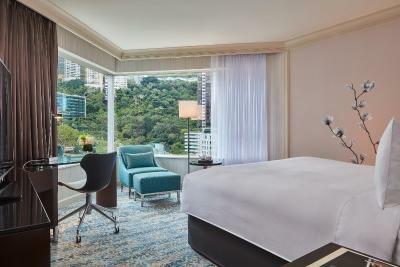 Room overlooks the Hong Kong city skyline and features a 42-inch flat-screen TV, DVD player and tea/coffee making facilities. Also included is a spacious work desk with connectivity hubs, safe and marble bathroom with separate shower and bathtub. Daily newspaper is provided. Private parking is available on site (reservation is needed) and costs HKD 600 per day. 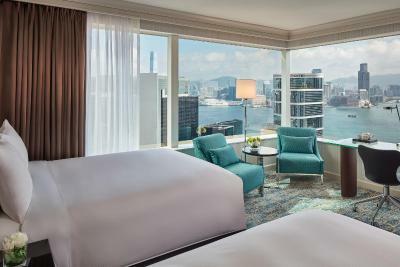 This room overlooks Victoria Harbour and features a 42-inch flat-screen TV, a DVD player and tea/coffee making facilities. Also included is a spacious work desk with connectivity hubs, a safe and a marble bathroom with a separate shower and bathtub. A daily newspaper is provided. Room overlooks the mountains and features a 42-inch flat-screen TV, DVD player and tea/coffee making facilities. Also included is a spacious work desk with connectivity hubs, a safe and marble bathroom with separate shower and bathtub. Daily newspaper is provided. 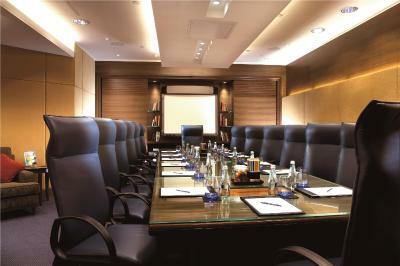 This room overlooks the mountains and features a 42-inch flat-screen TV, a DVD player and tea/coffee making facilities. Also included is a spacious work desk with connectivity hubs, a safe and a marble bathroom with a separate shower and bathtub. A daily newspaper is provided. 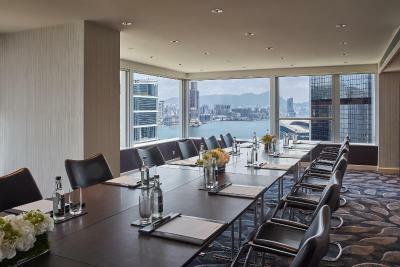 This room overlooks the Victoria Harbour and features a 42-inch flat-screen TV, a DVD player and tea/coffee making facilities. Also included is a spacious work desk with connectivity hubs, a safe and a marble bathroom with a separate shower and bathtub. A daily newspaper is provided. This suite overlooks the mountains and features a separate living room, a microwave, a 42-inch flat-screen TV, a DVD player and tea/coffee making facilities. Also included is a spacious work desk with connectivity hubs, a safe and marble bathroom with separate shower and a bathtub. A daily newspaper is provided. 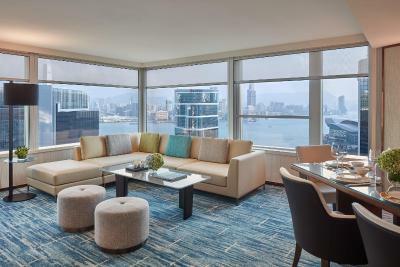 Suite overlooks the Victoria Harbour and features a separate living room, microwave, 42-inch flat-screen TV, DVD player and tea/coffee-making facilities. Also included is a spacious work desk with connectivity hubs, a safe and marble bathroom with separate shower and bathtub. Daily newspaper is provided. 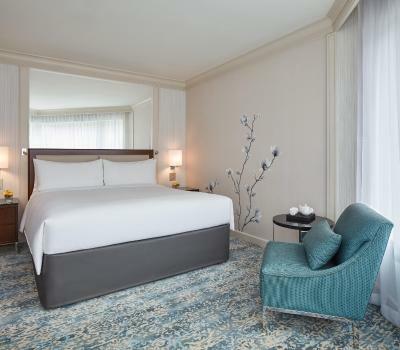 This room consists of 2 Deluxe Rooms which are jointly next to each other, without inter-connecting door in between the rooms. 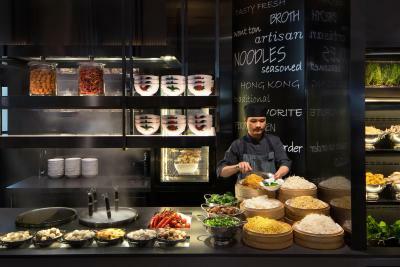 House Rules JW Marriott Hotel Hong Kong takes special requests – add in the next step! Any additional older children or adults are charged HKD 440 per night for extra beds. 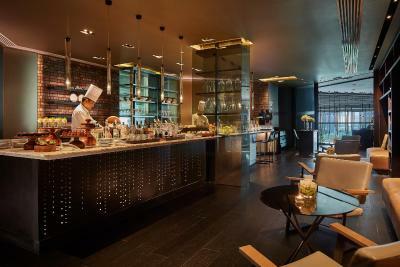 JW Marriott Hotel Hong Kong accepts these cards and reserves the right to temporarily hold an amount prior to arrival. Please note that children under the age of 12 are not allowed to enter the Executive Lounge after 18:00. Please kindly note that the fitness center is closed for renovation from 01 March until 31 May 2019. A temporary gym is available. Taxis were slow to get for local trips. The staff were so welcoming and helpful with great advice on where to go/ what to do. 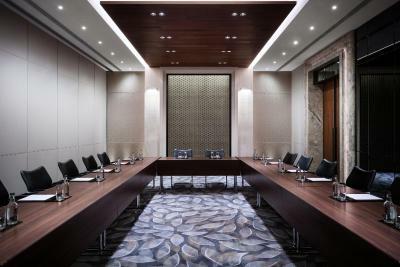 The location was ideal for business meetings. Rooms a bit small and the ground floor eateries a bit busy. I booked it bc I wanted a good fitness centre and sauna but when I arrived, I found out that the fitness centre and sauna were under refurbishment. We were able to use the Sauna at the Conrad and they had a makeshift fitness centre in operation, but that was not ideal...I wish this sort of facility info would be kept up to date on the site. 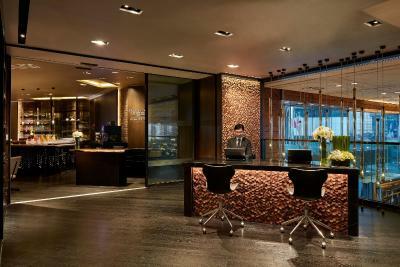 Requested a deposit of HK$1,000.00 upon check-in for miscellaneous. Understood that this is a common practice in hotels worldwide. When we checked-out the next morning, the cashier gave us a statement but the deposit was not shown on it. Cashier didn't even mentioned when this deposit will be reverted to our credit card account. That means in case of a dispute between client and hotel, there is no way for me to even proof that I had a deposit at all!! Left hotel early in the morning without trying out breakfast. Bed very comfy. Staff very attentive and helpful. The spa/massage facilities were closed for renovations. The gym was under renovation. Breakfast was nice but the egg system was a little strange. I could understand they didn't want queues but once you ordered it took time to come to you so other items got cold. Great location for MTR and also Pacific mall which had a lot of restaurants.